Quality Images, Movies, Games, On-line Quizzes, and More! Many of these resources are included in the SEGway lessons. Use Grab Bag Items to supplement existing curricula, to add value to SEGway lessons, or include them in a new lesson of your own, using the tools in Make a Lesson. What Do Auroras Look Like From Space? Where Can You See Auroras? Why are Auroras Different Colors? Scientists George Fisher and David Dearborn answer the question, "what is a sunspot?" 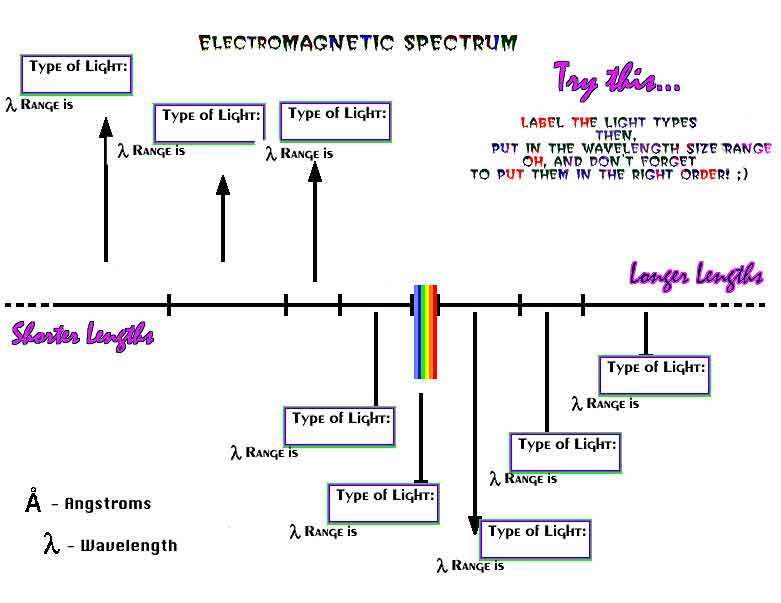 Instantly Classify Light Wavelengths: plug in a wavelength value and get the type of light from this wavelength "analyzer"